Masonic 9 Carat Gold and Silver Orb Ball. 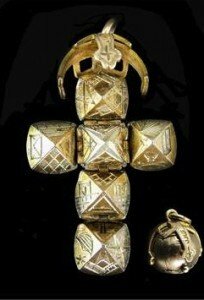 Opens up as a cross made up of 4 sided pyramids, on which the Masonic symbols are inscribed. The top cross shaped clasp is made of 9 carat gold. The ball is made of silver which is plated on gold. 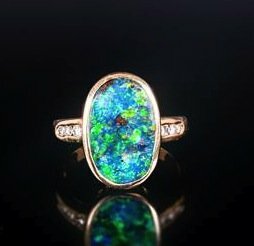 Ladies 18ct Yellow Gold Set Black Opal & DIamond Ring. The oval shaped black opal of good quality & grade. Set with diamond shoulders. Marked 18ct. 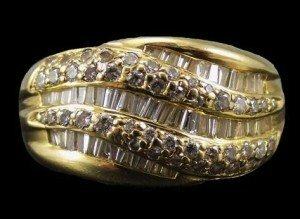 18ct Yellow Gold Set Single Stone Diamond Ring. The faceted natural zircon of excellent colour & clarity. Set with diamond shoulders. Marked 18ct. 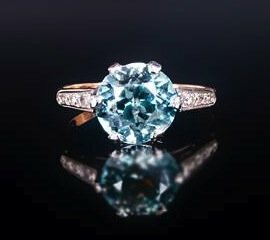 Estimate weight over 3 carats. 14 Carat Gold Set Baguette and Brilliant cut Diamond and Channel Set Cluster Ring, comprises three rows of Baguette cut diamonds and two rows of brilliant cut diamonds. Estimate diamond weight 1.5 carats plus marked 14 carat. 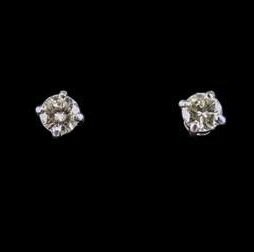 18ct White Gold Diamond Stud Earrings, Each Set With A Round Modern Brilliant Cut Diamond In A Four Claw Setting, Estimated Diamond Weight Approx .45ct Each. 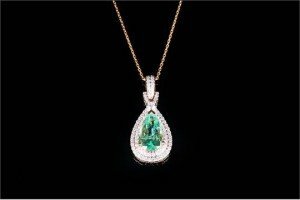 A Ladies Very Fine Pear Shaped Emerald & Diamond Pendant Drop, set in 14ct gold. The single stone emerald is a natural Colombian of excellent clarity and weighs est. 4.25cts. 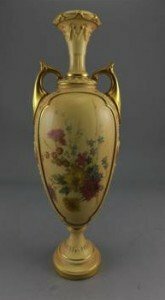 Royal Worcester Hand Painted Blush Ivory Twin Handle Pedestal Vase, Decorated with Images of Spring Flowers within Gold Panel Borders. Father Frost and The Maiden Fine Quality Oval Russian Lacquer Table Box. 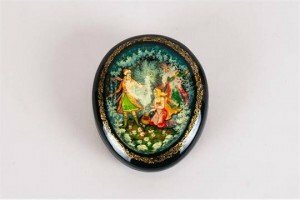 Beautifully hand painted and featuring Allegory to a Russian fairy tale. Depicting lovely Winter scene with detail to dress and background of foliage. Embellished with gold gold decorative border. Red Lacquer interior. 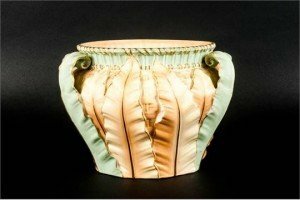 Royal Worcester Hand Painted and Impressive Three Handled Jardiniere, with Blush Ivory, Pink, Lilac and Gold Leaf Decoration. 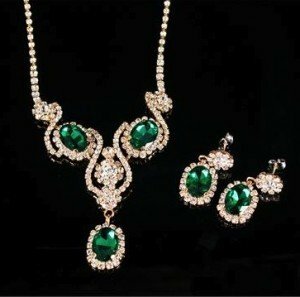 Emerald Green and White Crystal Necklace and Earrings Set, Art Nouveau style with sinuous lines and floral motifs, the earrings perfectly matched to the necklace, with post and push back fittings, all in a gold tone setting. 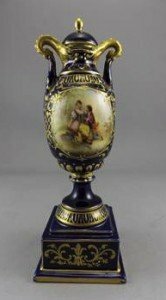 Royal Vienna Small Urn Shaped Lidded Pedestal Vase, Raised on a Stepped Square Shaped Plinth / Base. The Central Hand Painted Image of a Young Man Asking a Young Lady to Marry Him. Within Gold Borders and Royal Blue Ground. Blue Beehive Mark to Underside of Vase. 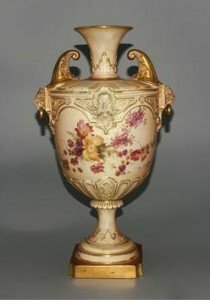 Royal Worcester Blush Ivory Hand Painted and Large Twin Mask Handle Pedestal Vase. The Eagle Mask Handles with Rings to Noses and a Further Two Gothic Masks to Front and Back of Vase, Decorated with Floral Images to Body and Gold Painted Borders. Supported on a Tapered Pedestal Mounted on a Square Base. 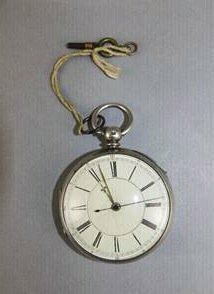 Victorian Large and Heavy Silver Open Face Key Wind Fusee Pocket Watch with Attached Key. Cream Dial and Black Numerals. Swarovski Fine and Impressive Cut Crystal Statement Necklace with Matching Earrings. Each Stone Is Set In High Quality Sterling Silver Plate. Boxed. 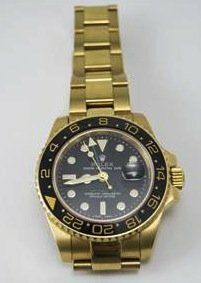 A Modern and Heavy Rolex Oyster Perpetual Date GMT Master Gents Wristwatch on a Gold Plated Bracelet. 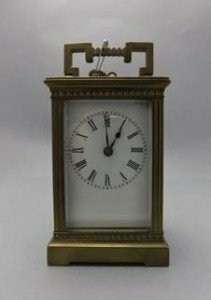 Heavy English Brass Carriage Clock with Eight Day Movement, Visible Escapement, White Porcelain Dial, Black Numerals, Reeded Columns. 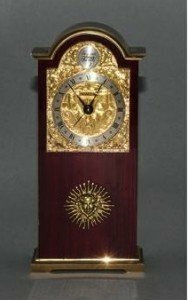 Tempus Fugit Swiss Made Quality Wind Up Table Clock, In Gilt Brass and Polished Mahogany with Alarm. Features Silver Chapter Ring on a Gilt Embossed Ground and Applied Sun Burst. 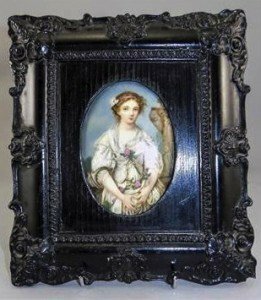 A 19th century Portrait Miniature Painted On Porcelain Plaque Depicting A Young Woman Wearing Roses In A Slightly Archaic Setting, 4.5×3 Inch Oval Plaque Housed In A Broad Ebonised Frame. 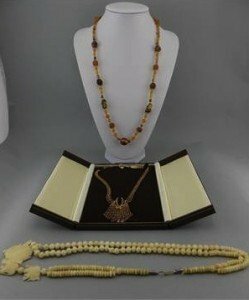 Paste Set Collerette Set With Orange Coloured Faceted Stones, Together With A Carved Bone Elephant Necklace And An Amber Coloured Bead Necklace. 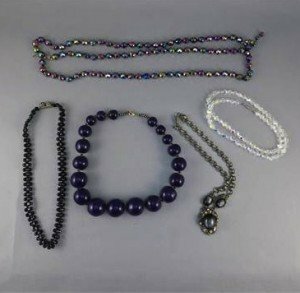 A triple Strand Purple Aurora Borealis Crystal Bead Necklace, single row clear bead necklace, French Jet three row choker, grey faux cat’s eye pendant necklace and a large round bead purple ceramic necklace.